Hello, again! We’re back once more with yet another Caption Contest, so get your minds and photo editing programs of choice ready! Rod is still out, exploring life off the Internet (I wonder what that’s like…), so I am once again your guest host, and I come armed with a new Breath of the Wild screencap. But, of course, we have business to take care of first, don’t we? Let’s take a look at last week’s winners! In our previous contest entry, we saw Link posing for a photo op with a few of his closest friends. Dylan: Link: with this Stelth suit, no one can see me or harm me!! Is that a blood moon behind me? Yep, that’s me. I bet you’re wondering how I got myself into this situation huh? 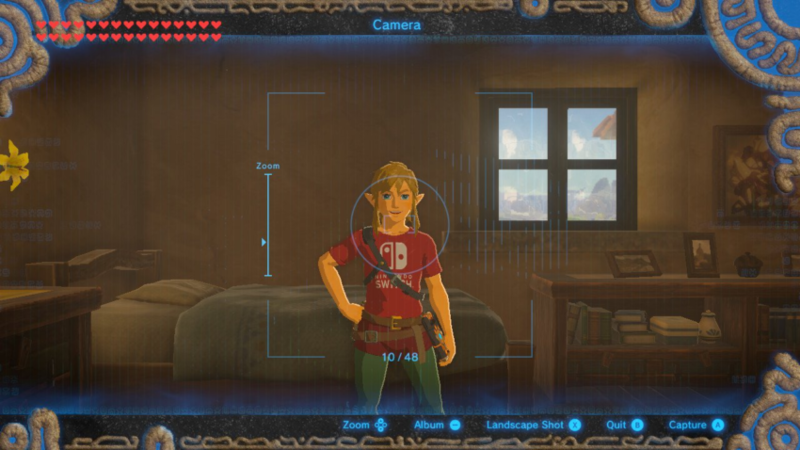 Link is just so proud of his new shirt. How cute!